The company is quickly building out a global network of lights-out data centers. The word “unicorn” is not usually applied to data center colocation startups. It’s applied to startups with $1 billion or higher valuations that are usually software or hardware companies. But one European data center provider, thanks to its substantial investment in developing technology, has invoked the image of the mythical beast. Last year, Luxembourg-based Etix Everywhere became one of 18 companies to participate in the Startup Europe Comes to Silicon Valley program, which named them Europe’s future unicorns. The program seeks to connect European tech companies with investors and potential enterprise customers in the US. While the data center provider business at its core is real estate business, in the face of commoditization and consolidation the space has been undergoing in recent years, you need to think hard about differentiation if you want to compete with global giants like Equinix, Digital Realty Trust, or Global Switch. For Etix, backed by private equity investors, the answer has been innovation in both technology and product. The company has been spending heavily on R&D, designing software, hardware, and of course data centers; it’s also created a variety of data center investment options for its customers. 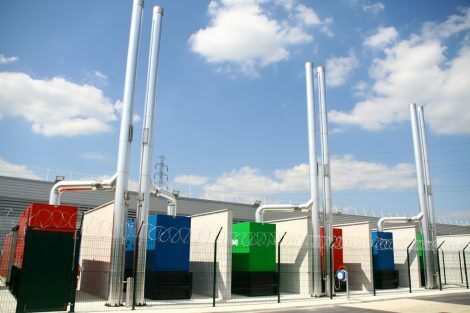 Replicating a single data center design around the world, using pre-fabricated components to reduce time-to-market, it has built six facilities and has around 20 additional projects in various stages of development. It’s also competing with leading providers on price, he added, although the company generally stays away from the top-tier markets like London and Amsterdam where those players (the likes of Equinix and Interxion) dominate. Etix will go into a market like that if a customer wants it to, but it does not target those locales proactively. Its sweet-spot is in second- and third-tier markets like Edinburgh, Morocco, Angola, and Iran. “We are really there to provide some really localized services,” Beyney said. One of Etix’s current projects is in Fortaleza, a city in northeastern Brazil that has population of about 2.6 million but isn’t considered a top data center market in the country. There the company is building a landing station for two future submarine cables that will link Brazil, US, and Angola. The partially Google-funded Monet cable will connect a landing station in Boca Raton, Florida, to Etix’s landing station in Fortaleza and another one in Santos, Brazil. Also landing in Fortaleza will be the South Atlantic Cable System, which will stretch across the Atlantic Ocean to land in Luanda, Angola. Both cables are being built by Angola Cables, which hired Etix to build the Fortaleza station and a data center close to it for the future cables’ customers. The Monet cable is expected to come online this year, while SACS is slated for completion in the third quarter of 2018. Etix is targeting locations that can be considered edge markets, and companies that commission data centers in those markets are often based elsewhere. That’s why Etix's tech investment is focused on making it easy for its customers to manage their facilities remotely. 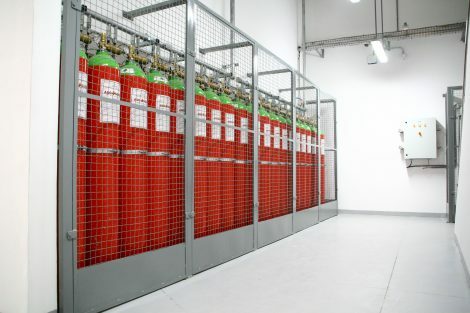 In addition to the typical infrastructure monitoring and management features, its custom DCIM software (or data center infrastructure management) provides browser-based CCTV monitoring and data center maps that tell local technicians who haven’t been to a site exactly where inside the facility they need to go if there’s a problem. The software has access management capabilities enabled by the hardware lock controller with a camera developed in-house. Additionally, the company’s significant R&D staff are developing computer-vision technology that can detect humans in the data center, recognize faces, and track a person’s movement through a facility. When a remote tech is dispatched to a site, they are greeted by an authentication panel with a large screen, where they have the choice of using a QR code, an RFID tag, or a password to get inside. If they don’t have either of the above, they can place a video call to the centralized Etix NOC, staffed around the clock. Today Etix competes with Equinix, but the Redwood City, California-based colocation giant indirectly helped the company get its start. Around the beginning of the decade, Beyney’s other company, a hosting provider called BSO Network Solution Group, was preparing to build a data center in Paris to serve its customers. 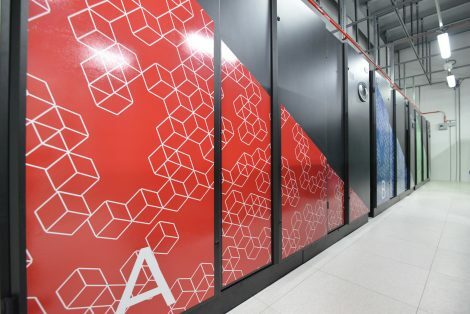 It had secured land and permits in the city’s suburbs but was eventually approached by Equinix, which was also looking to build a data center in the market. After some negotiation, Equinix paid BSO €15 million for permits and contracts Etix had secured for the site, where Equinix ended up building what is known today as PA4, a 40MW, 250,000-square foot data center. Cash from the sale provided seed funding for Etix. One way Etix differentiates from the likes of Equinix is by offering a variety of data center leasing and ownership structures to its customers. A client can lease a facility from the provider; they can buy a turnkey facility; they can also do a mix of both. While having a data center customer invest in a facility along with the provider has been increasingly common in recent years, having the “co-investment” model as a standard product offering is not typical. Under the model, Etix splits the facility’s ownership equally with the customer. The deal in Brazil with Angola Cables is a good example. The telco will own the landing station, while the colocation data center that will provide access to the cable system will be co-owned by Etix and Angola, Beyney said. Today, Beyney is chasing the second round of funding, but he’s not worried about cash. Etix’s investments around the world are fully backed by banks because of its joint ventures with customers, he said. He also pointed to Etix’s deep-pocket investors, New York-based Tiger Infrastructure Partners and Paris-based infraVia Capital Partners, who are providing tens of millions of euros in credit facility. The company’s focus is on delivering its construction projects and advancing its technology.